"Inside" video and preview clip previewing the Arrow episode "Docket No. 11-19-41-73"
“Docket No. 11-19-41-73” is the title of a new episode of Arrow airing tonight (May 3) at 9PM ET/PT on The CW! The network has released an “Inside” video with Executive Producer Beth Schwartz previewing what’s to come, complete with a few clips that we haven’t seen before. Here’s that video; an episode description and preview images follow below. UPDATE: The CW has now released a preview clip! Arrow -- "Docket No. 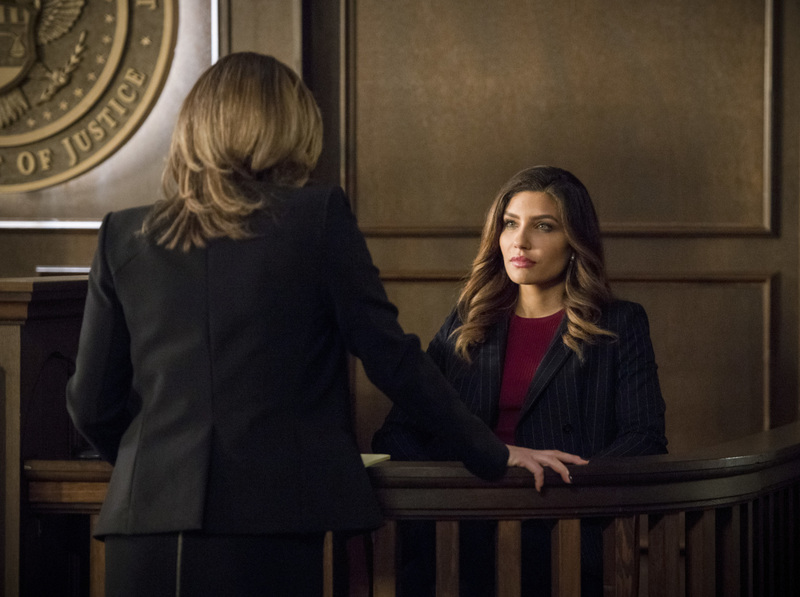 11-19-41-73" -- Image Number: AR621a_0004.jpg -- Pictured (L-R): Catherine Dent as Alexa Van Owen and Juliana Harkavy as Dinah Drake/Black Canary -- Photo: Diyah Pera/The CW -- ÃÂ© 2018 The CW Network, LLC. All rights reserved.